These are a perfect example of an 1870s slipper. 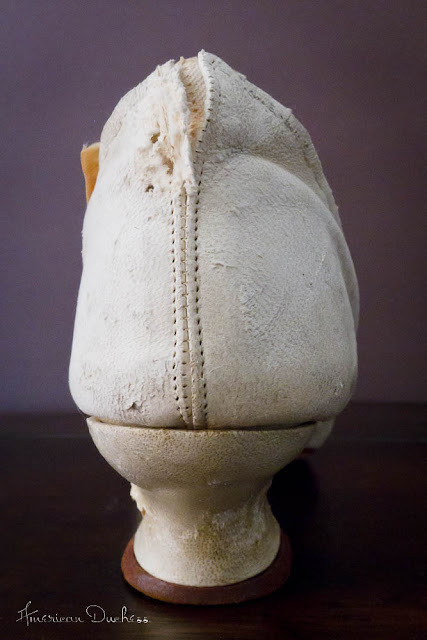 They have a slightly squared toe, a delicious little heel, and a large decoration on the vamp. 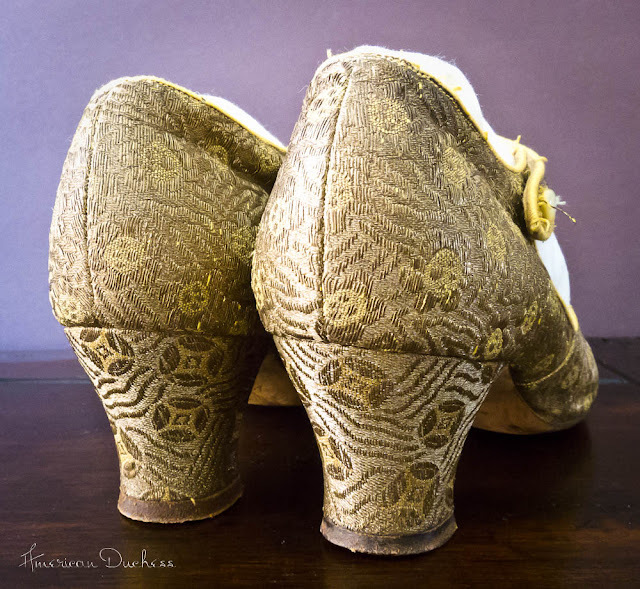 They meet all the hallmarks of formal footwear for 1860-1880, and though they've seen better days, I'm really proud to have this example in my collection, and especially to be able to use these old dames to create the upcoming Civil War/Bustle Era dyeable satin pump, "Tissot," coming out later this year. This pair of dance shoes was given to me by Sharon and Bob Collier. They're a gorgeous example of what we might think of as Flapper shoes, but they weren't avante garde or shocking at the time, just really lovely, dressy shoes. 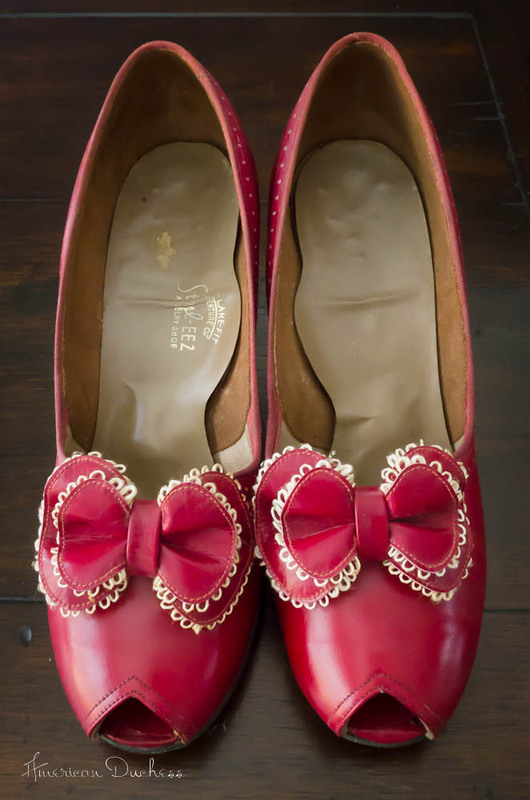 They're a far cry from the basic black Mary Janes you find in the stores today, eh? 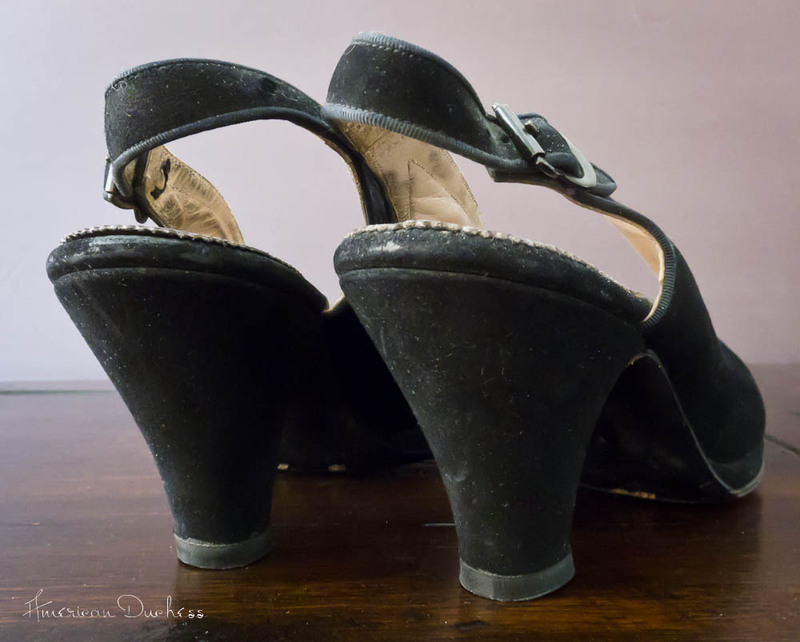 I love these black suede 1940s Slingbacks because they are so iconic for this decade. 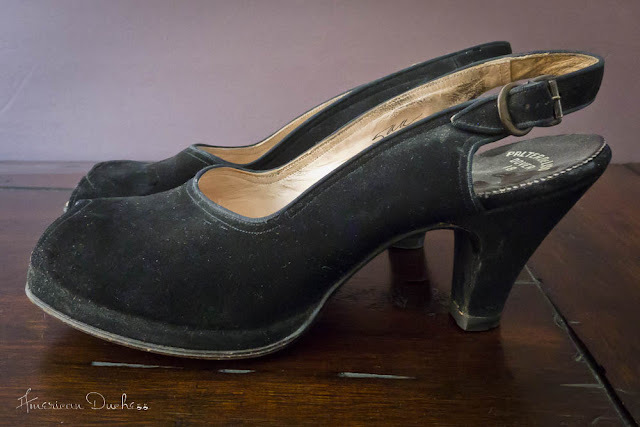 These beauties underwent a heel-shortening at some point in their life, and the balance is thrown off, but aside from that, they're a great example of basic 1940s footwear. Ooo... I see that you slipped in a mention of the Tissot (and now I know the name of it!)! Super excited!!! I can't wait to see and hear more about those. I think they'll be a must have. 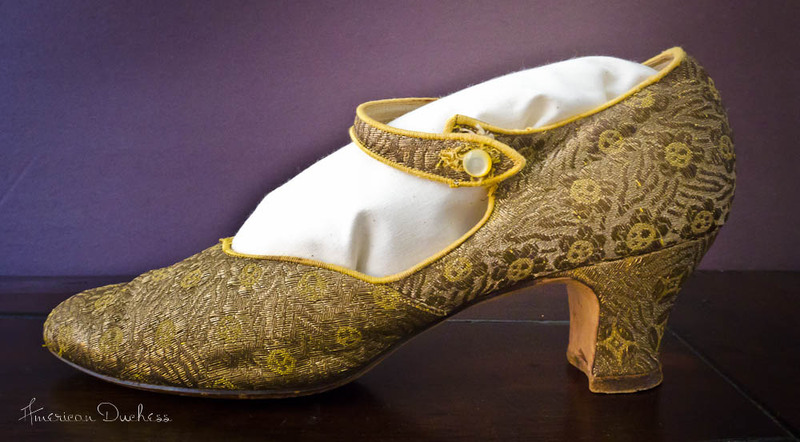 Upcoming Civil War/Bustle Era dyeable satin pump, "Tissot," coming out later this year. These words made me so happy! First, I bought nice fabric for my next project, and now this! Love the red heels! :) Those 1920s brocade shoes are a real treasure indeed! YES!!!!! 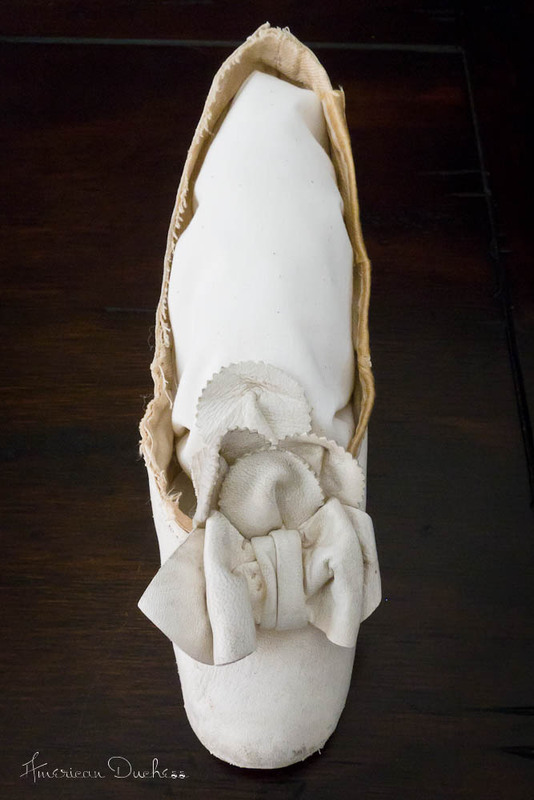 I have wanted a Civil War era shoe for forever! So excited! That first image is just so, so timeless!!! 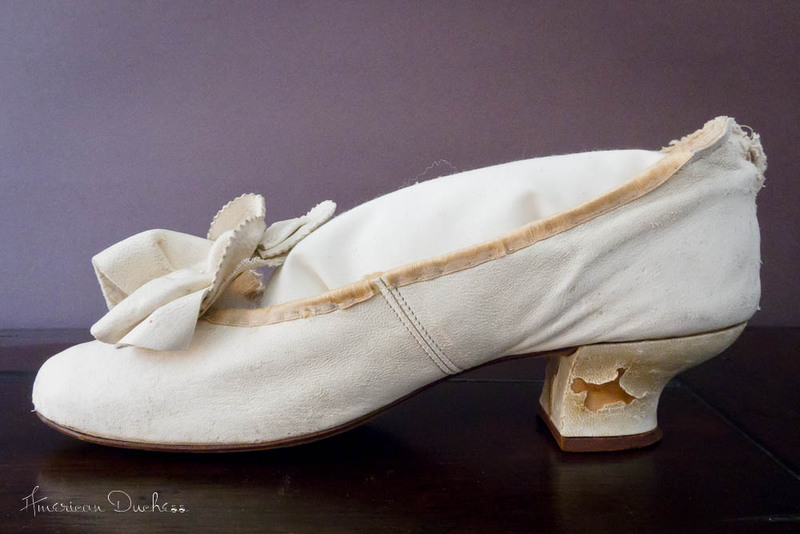 So clearly they were machine stitching shoes, right? You do have an eye, my dear, and every costumer in the country should know about yur product!!! 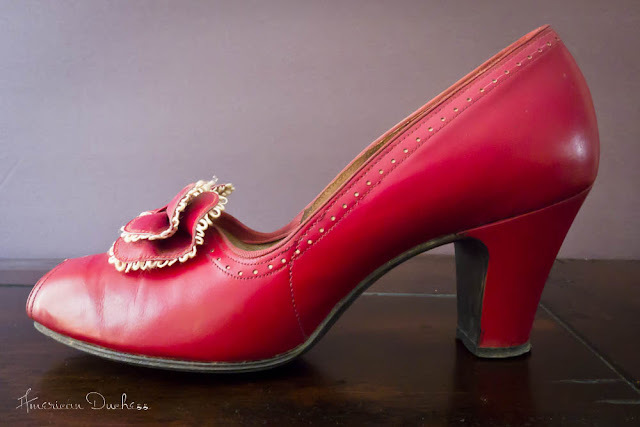 So excited about the Tissot, please say that they will be offered in size 10.5!